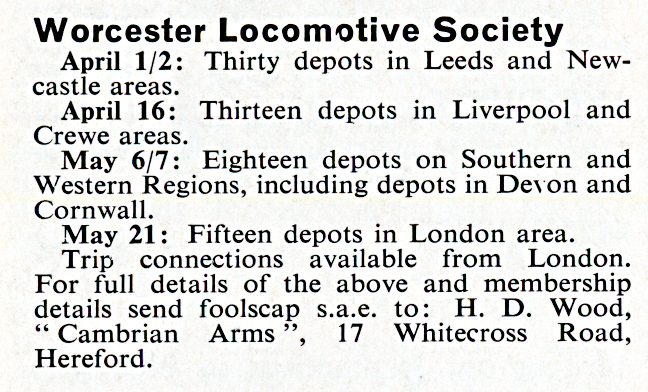 A) April 16th 1967 - Liverpool & Crewe areas. 2B - Oxley (Wolverhampton), 5B Crewe South, Crewe Central, 5A Crewe North, 6A Chester, 8H Birkenhead, 8L Aintree, 8A Edge Hill, 8C Speke Junction, 8G Sutton Oak, 8F Springs Branch (Wigan), 8B Warrington (Dallam), 8E Northwich. B) July 16th 1967 - Manchester area. 9L Buxton, 9B Stockport (Edgeley), 9F Heaton Mersey, 9C Reddish, 9A Longsight, 9D Newton Heath, 9E Trafford Park, 9H Patricroft, 9K Bolton, 10F Rose Grove, 10D Lostock Hall, 10A Carnforth, 8B Warrington (Dallam). 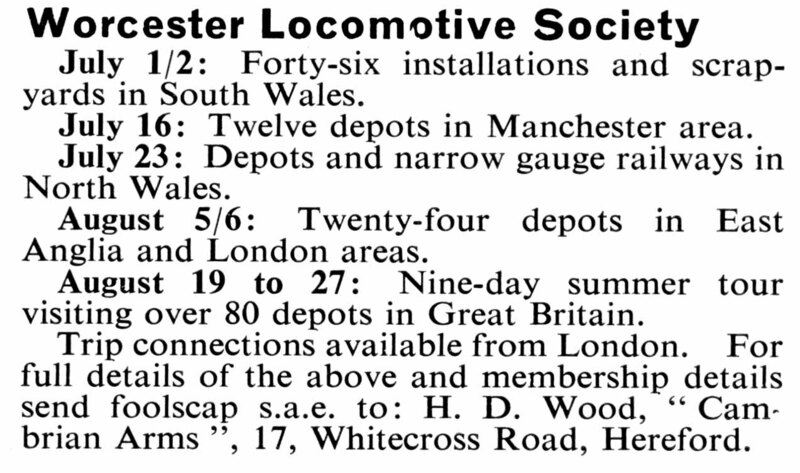 Michael Bailey's entire record of the locomotive numbers can be downloaded from the Attached Documents section at top rhs of this page. It also includes observations at Kings Cross on 24th August 1967.